Art Without Borders is a night of international art, food and music, hosted by Bethany Christian Services. Each year, this silent auction and awareness event raises funds to provide refugees and their families with the necessary tools to rebuild their lives in West Michigan. Last year over 100 refugees were able to secure employment, housing and healthcare from the funds donated at this event. Please consider donating your artwork for the silent auction. 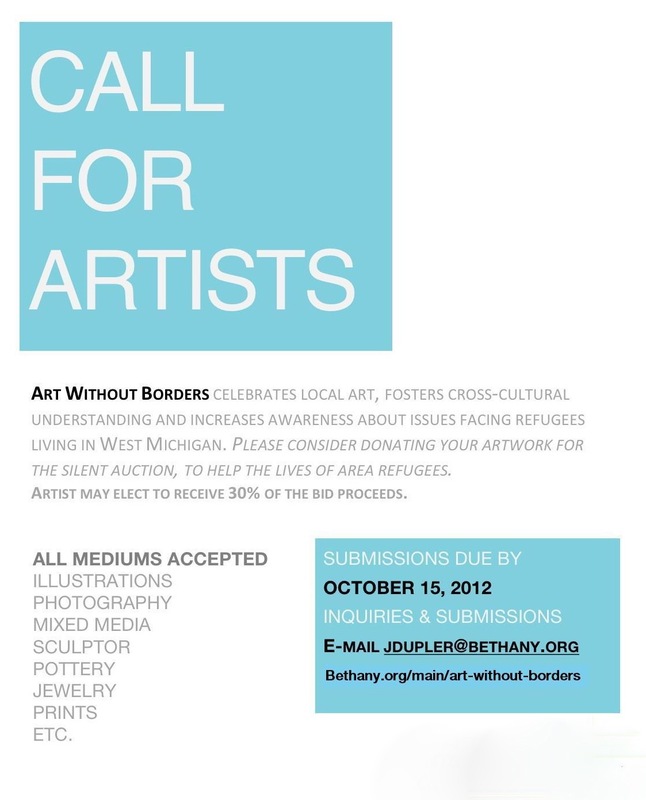 Bethany is looking for artists of all different backgrounds and all types of mediums. Artist will set the minimum bid price and may elect to receive up to 30% of what the piece is sold for. By selling or donating your artwork today, you too can support hundreds of refugees and their families. Submission deadline is Monday, October 15. Artists submission form available here. The Art Without Borders silent auction will take place at 6:30pm on Thursday, November 1st at The Gallery at Bar Divani. This entry was posted in Events, Grand Rapids, News. Bookmark the permalink.